Gohil's Community Pharmacy goes live! 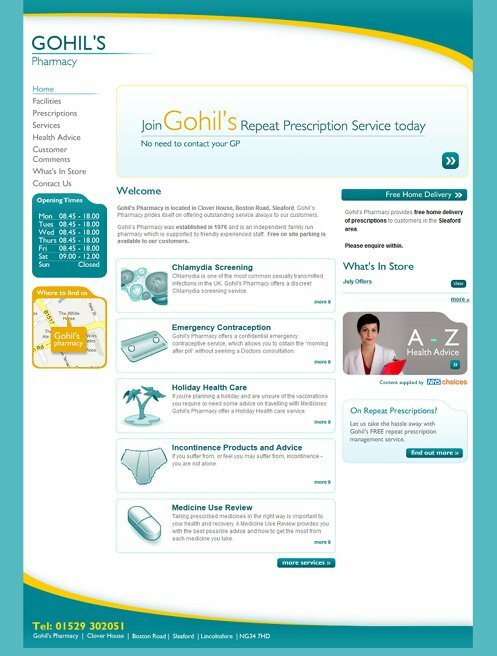 Gohil's Pharmacy launches and promotes repeat prescriptions and home delivery services to the local community of Sleaford. Gohil’s Pharmacy was established in 1976 and is an independent, family run pharmacy. Gohil's chose to create a website that would promote instore services which include Emergency Contraception, Holiday Health care and Repeat Prescription Delivery Services.